Yes, even if you plan to spend a lot of time relaxing in your villa, you will want the flexibility to go where you want when you want. Belle Caribe is located in a residential neighborhood so scheduling transportation each time you want to go out and come back home would be challenging and expensive. Plus many roads on St. Thomas have been recently repaved for smooth around island driving so it’s a lot easier than you may think – just remember to drive left. Beaches are beautiful, plentiful and close by – here are some of the closest . . .
Secret Harbor – calm waters and good snorkeling with a charming open beachfront restaurant (located at the Secret Harbor Beach Resort) All beaches on St. Thomas are public so you do not have to be a guest of the resort to access or enjoy the beach. Their lounge chairs and towels are for their guests only, but no problem because you can bring the folding beach chairs & towels from Belle Caribe. Sapphire Beach is just a few minutes away by car. In fact you’ll be overlooking it from your deck. It’s great for snorkeling (lots of fish, coral and sea turtles) or just relaxing. Water sports rentals & a poolside restaurant. Smith Bay (aka Lindquist) Beach is a really pretty beach with bright turquoise blue water just a little further down the road. It’s more secluded and usually a bit quieter except when a lot of cruise ships are visiting. Coki Beach – a favorite, with great snorkeling, water sports rentals, beach bar & grill, plus Coral World is right there. Bring some light clothes, everything is very casual on the island, but you may want to have something with long sleeves or a light sweater for breezy evenings in the winter, yes we have a winter too, but that white stuff on the ground here is sand not snow! Most everything you will need is already in your villa – towels, linens, soap, beach towels, beach chairs, cooler and more. No one wants to spend their vacation doing laundry, but you can pack light and do wash if you really want to. Are groceries readily available and will I find the same things as at home? There are 2 grocery stores just a few minutes from Belle Caribe, and you may be surprised how many things you’ll find just like at home. If there’s anything special you’re wondering about, just ask us and we can let you know if you’ll be able to get it here. Despite the gorgeous view and that “far away from the real world” feeling, you can still be connected…if you want to be. There is wireless internet service in the villa. Stay in touch or check in with work if you need to – no one will see that Pina Colada in your hand unless you’re on Skype! Most carriers have very good connections from Belle Caribe and all around St. Thomas, however check your service before you come in case there may be roaming charges. AT&T has service here without roaming but some other carriers do not. Yes, there are lots of restaurants – seafood, pizza, burgers, sandwiches, salads, ice cream as well as Caribbean, Italian, Mexican and Asian fare. There is also casual and fine dining at neighboring resorts like Secret Harbor Beach Resort and the Elysian. Many places offer take-out so you can also enjoy their food with your view! Passenger ferries go between St. Thomas and St. John every hour from the Red Hook ferry terminal. The ride is about 20 minutes, and the ferry drops you off at the dock in downtown Cruz Bay where you can walk to shops, restaurants and the National Park Service Center. Taxis will also be waiting to whisk you off to the beaches or anywhere else you’d like to go. They circle around all the most popular beaches so after your day out you can get back to town without a problem. To explore on your own, you can take your car over to St. John with you on one of the car barges, which leave about every hour. You will save a bit by buying a round trip ticket, but remember to ask when the return ferries leave because there are a couple different companies running the car ferries and your return ticket is only valid for the company you used going over. 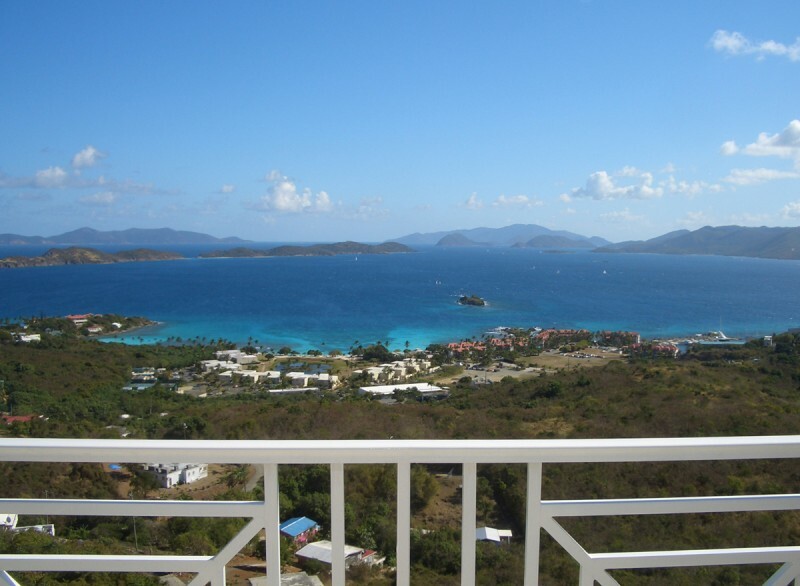 The car ferry takes about 45 minutes, and the dock in St. John is just a couple minutes from Cruz Bay. But that’s not all . . . you can also take a ferry to Road Town on Tortola or Jost Van Dyke in the British Virgin Islands (passport required). I want to fish/snorkel/dive/go for a day trip on a boat . . .
What if I’d like to arrange transportation so I don’t have to drive? If you need personalized transportation services, call Curlson at 340.690.2166. If you just need a quick ride somewhere on the East End, call East End Taxi at 340.775.6945.